Your Tamarac Motorcycle Accident Attorney Robert E. Gluck, will represent you with strong determination, to try to get you results you will be pleased with. Robert E. Gluck will help you save time and money so you can always count on him for excellent representation. He will guide you from the first day until the last, so you will feel more confident from the start. In order to get you the highest settlement possible, he must first provide evidence that negligence took place at the time of your accident. 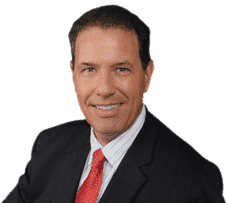 Robert E. Gluck will try to prove the opposing party was negligent and if he can, he will be able to launch a full investigation of your case. Your Tamarac Motorcycle accident attorney Robert E. Gluck will start a full investigation of your case once he finds evidence for negligence. You can count on him to do an excellent job no matter what. He will pursue your case with full determination. Robert E. Gluck will fight for your legal rights and make sure you are always treated with respect. With Robert E. Gluck at your side you will have a greater chance of winning your case. Your Tamarac Motorcycle Accident Attorney Robert E. Gluck will greatly impact how your case ends. Studies show when an injured person has legal representation, their chances of receiving a settlement are much greater. It is equally important to have an excellent attorney who truly understands the accident and injury law. Hiring the wrong attorney could cause you to lose your case. Robert E. Gluck will serve as a powerful voice on your behalf. Your Tamarac Motorcycle Accident Attorney will find witnesses and get their written statements from them. He will take pictures of the accident scene and secure video footage. He will look for property damage and anything else that could help your case. Once Robert E. Gluck has all the evidence he needs, he will fight hard to win the case. He will try to get you the highest settlement possible for your injuries. Contact Robert E. Gluck today for your free consultation!